Mum's maiden surname, Atcherley, always intrigued me. Eventually this led to my quest for information about my maternal ancestors and kin, a genealogical journey which began with Mum and her parents: Louisa (née Hall) and Fred Atcherley. Click on the photo above to visit Fred's page in the Atcherley Family Tree. 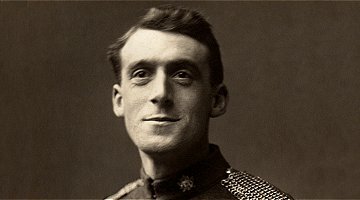 Hedley, as Charles was usually known, emigrated from England to Canada where he joined the Mounties, before joining up to fight in WW1 with the Canadian Overseas Expedition. He was awarded the Distinguished Conduct Medal for his “conspicuous gallantry and devotion to duty”. 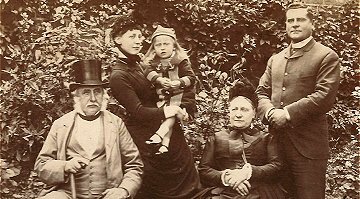 Click on the photo above to visit Hedley's page in the Atcherley Family Tree. Hedley was just one of the Atcherley men who went to took up arms during the Great War of 1914-1918. Others included Thomas Atcherley of Swindon, Samuel Atcherley of Shropshire, and Jack Rowland Atcherley of Brisbane, Australia. 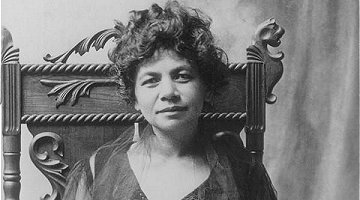 Mary Haaheo Kinimaka (1874-1933) was born at Honolulu, and married Dr John Atcherley in 1894. While John was at sea with the Royal Candian Navy during WW1, Mary and some of her children were active on the home front in Vancouver. Click on the photo above to visit Mary's page in the Atcherley Family Tree. Other Atcherley women who supported the war effort included sisters Hope and Hester Atcherley of Chester who joined the Voluntary Aid Detachment, and Ethel Atcherley who was awarded the MBE for her work as a nurse. Sir Richard Llewellyn Roger Atcherley, K.B.E., C.B., A.F.C. (1904-1970) was without doubt the best known member of the Atcherley family. Widely known as Batchy, Richard joined the RAF and gained a reputation for stunt flying. He also served his country during WW2, as did his twin brother David. Ada was one of three long-lived Atcherley sisters - she was 103 when she died (as Ada Mabel Shakeshaft) in 1991. Sisters Charlotte Eva and Hilda Margaret lived to the ages of 99 and 100 respectively. Captain James Atcherley of the Royal Marines took part in the Battle of Trafalgar in 1805, and took the surrender of the French Admiral Villeneuve.He was the son of the Rev James Atcherley, headmaster of Shrewsbury School. While some Atcherleys were long-lived, for others life was short. 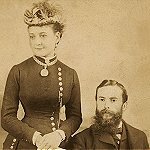 William Baugh Atcherley died at 45 and his wife Eliza Maria (née Winter) aged 36, leaving two orphaned children. 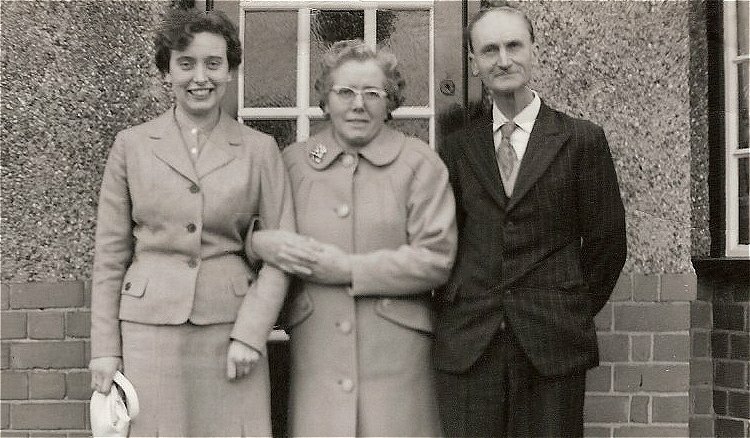 The people in the Atcherley Family Tree include descendants of Atcherley women who married, and 'allied families' with whom the Atcherleys had multiple connections. They include the Edwards family, pictured here.